Those shells aren't proof against bacteria so, like any animal, turtles are vulnerable to a variety of diseases. You need to know the symptoms of these illnesses. That knowledge can help you protect and care for your hard-shelled pets. Like humans, some turtles contract respiratory infections, similar to human colds and pneumonia. In a turtle, these symptoms include choking, mucus discharges and gasping. You may also see more subtle symptoms like weakness and listlessness, and even leaning to one side. A veterinarian's care, including antibiotics, can correct this condition. Keep up on cleaning your turtle's tank to help your turtle heal and prevent future respiratory infections. You should also watch out for mouth rot, or "infectious stomatitis." Poor maintenance and bacteria cause this disease. Symptoms include a bad smell coming from your turtle's mouth, redness on the mouth and excessive salivation. When the disease advances, it can even include pus accumulating in the mouth. If you see this condition, consult a veterinarian. It requires serious care, including antibiotics, cleaning the turtle's mouth and special vitamins. Since this disease interferes with eating, it can threaten the turtle's life. Turtles can also get ear infections. This can happen along with respiratory infections. Often, it can require minor surgery to open up the ear canal and remove the pus inside. Antibiotics, injected by a qualified veterinarian, can help correct any underlying problems. Like other conditions, you should consult a vet if you see inflammation around your turtle's ears. Turtles can spread diseases to humans. The CDC warns turtle owners to watch out for salmonellosis. Salmonella bacteria, which also cause some types of food poisoning, cause this infection. 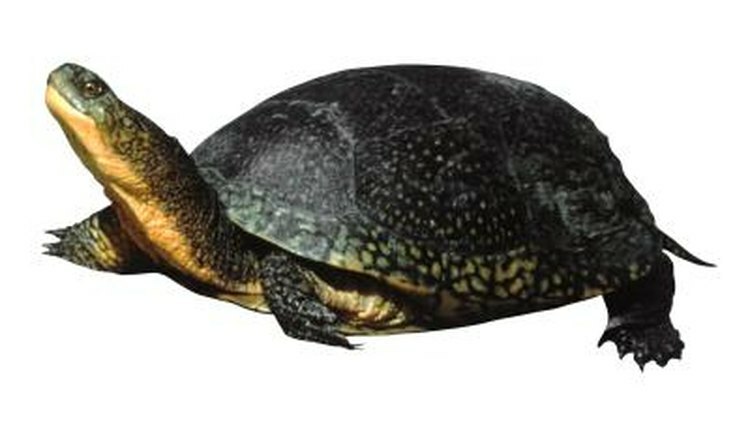 Turtles are highly resistant to salmonella bacteria and do not show any symptoms when infected. Still, this same bacteria can make a human violently ill. To avoid this illness, avoid handling your turtle when possible. If you do touch your turtle, wash your hands afterwards, and avoid touching your face. CDC: Healthy Pets Healthy People: Is a Turtle the Right Pet for your Family?